NASA Emdrive tests consistently measured performance at 1.2 ± 0.1 mN∕kW, which was very close to the average impulsive performance measured in air. A number of error sources were considered and discussed. Missions with very large delta-v requirements, having a propellant consumption rate of zero could offset the higher power requirements. The 1.2 mN∕kW performance parameter is over two orders of magnitude higher than other forms of ‘zero propellant’ propulsion, such as light sails, laser propulsion, and photon rockets having thrust-to-power levels in the 3.33–6.67 μN∕kW (or 0.0033–0.0067 mN∕kW) range. 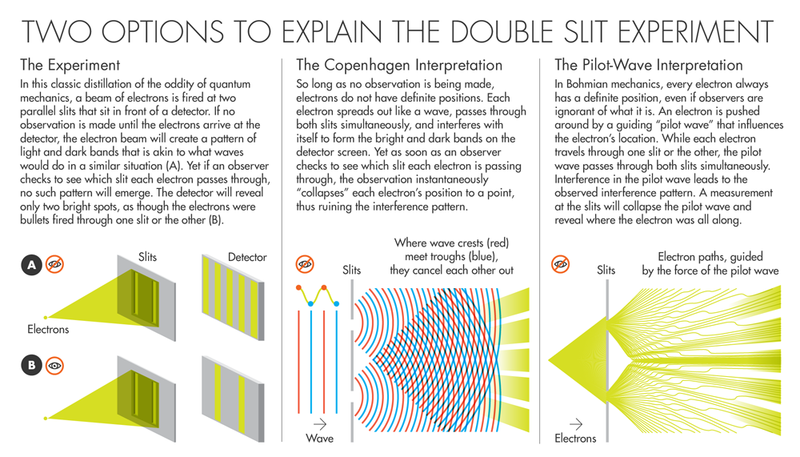 A physics model used to derive a force was a nonlocal hidden-variable theory aka pilot-wave theory. The farther the first photon travels, the less reliable the second photon’s report becomes. The reason is nonlocality. Because the two photons are entangled, the path that the first photon takes will affect the polarization of the second photon. By the time the first photon reaches the screen, the second photon’s polarization is equally likely to be oriented one way as the other — thus giving it “no opinion,” so to speak, as to whether the first photon took the first route or the second (the equivalent of knowing which of the two slits it went through). Weak measurement allows one to empirically determine a set of average trajectories for an ensemble of quantum particles. However, when two particles are entangled, the trajectories of the first particle can depend nonlocally on the position of the second particle. Moreover, the theory describing these trajectories, called Bohmian mechanics, predicts trajectories that were at first deemed “surreal” when the second particle is used to probe the position of the first particle. We entangle two photons and determine a set of Bohmian trajectories for one of them using weak measurements and postselection. We show that the trajectories seem surreal only if one ignores their manifest nonlocality.